Leslye Headland and Natasha Lyonne. If you’re disappointed that the movie Bachelorette never got its due (as it should have! ), rest assured that Leslye Headland is working on another project about things going crazy during the course of a single night. 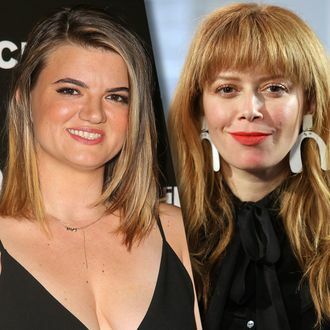 Netflix announced plans for a new comedy series from Headland, Amy Poehler, and Natasha Lyonne about “a young woman named Nadia (Lyonne) on her journey as the guest of honor at a seemingly inescapable party one night in New York City.” The eight-episode series was created by the three women together, and will be written by Headland and Lyonne. The show doesn’t have a release date yet, but those yearning for more Headland comedy in the near future can always check out the upcoming Heathers TV adaptation.